Pea protein powder is becoming a fast favorite for gym-goers and health-conscious people alike — not only is it gluten-free and vegan, but it’s been proven to support the health of your kidneys and heart! 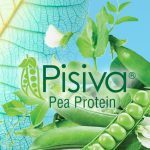 Hill Pharma, Inc.’s Pisiva® Pea Protein offers a clean, neutral flavor profile. 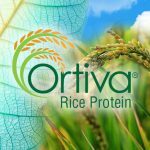 As a natural plant-based protein, Pisiva® provides one of the best protein sources for vegans and vegetarians due to its amino acid profile and high protein concentration. The clean flavor and excellent solubility of Pisiva® allow for ease of formulation and can give your product a much needed nutritional boost while staying dairy-free, gluten-free, and it’s hypoallergenic! Consumers are looking for protein nutrition to replenish and rebuild their bodies after exercise. Research shows that pea protein promotes muscle growth, muscle mass, and exercise recovery. But muscles aren’t the only part of your body that benefit from pea protein! As a cholesterol & lactose free alternative to animal proteins like eggs and dairy, Pisiva® Pea Protein is 80% protein rich and is high in BCAA’s (branched chain amino acids); as a weight-loss supplement it increases metabolism, reduces appetite, and helps control blood sugar levels. 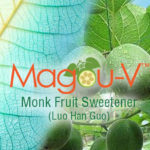 People who use pea protein say it reduces their sugar cravings and helps them fell full and eat less.